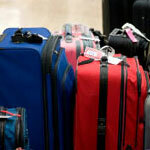 SITA, the IT provider which tracks passenger baggage worldwide for the air transport industry, has released a report pointing to RFID tracking as a solution to baggage-handling problems in the world’s airports. The 4th annual SITA Baggage Report shows that the industry now handles around 2.25 billion pieces of checked baggage every year, and an estimated 42.4 million bags were mishandled or delayed in 2007, resulting in roughly $3.8 billion in losses to airlines. According to the report, RFID tracking could save the industry as much $700 million if it was fully implemented across the industry. SITA facilitates communications between airlines and local baggage handling and reconciliation systems to ensure bags reach their correct destination.